Once PowerCalendar is imported you will notice two new security roles in your CRM system. The first is the PowerCalendar Admin role, this security role should be granted to users that need access all teams in the system. 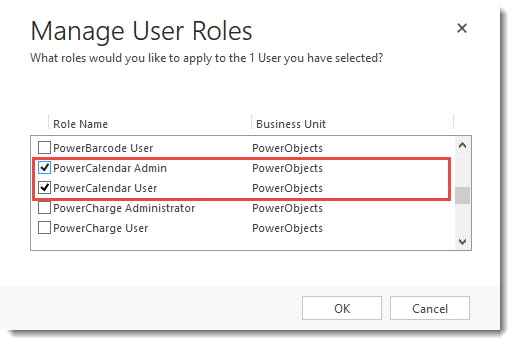 The second security role is PowerCalendar User, this role should be applied to all users that you want to be able to use PowerCalendar – this role will respect existing restrictions of users. 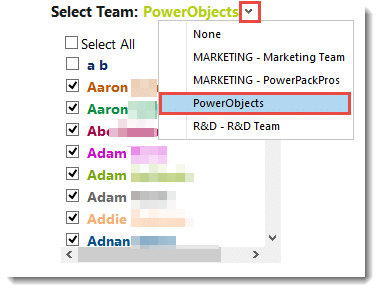 Once you have successfully imported and registered the PowerCalendar solution in your CRM system, you will notice a PowerPack section under the main navigation ribbon, this is where you will find PowerCalendar. When you open the right side of the calendar users will see a settings tab. Popping this open will enable users to select which team they would like to view on the calendar. Once you have select the team, all the members of that team will be listed out – in the list users can choose the individual members that they would like displayed on the calendar. Once you have selected which team calendar you would like to view, you can narrow your results by choosing which activities you would like to be populated on the calendar (Task, Appointment, or Phone call). Below that selection you can filter even further by choosing the activity status type (Open/Scheduled, Completed, and Canceled). There are multiple ways in which users can navigate through the calendar. The Today’s view icon will automatically jump users to the current day of the calendar. The Month Selector allows users to scroll through the months. The Refresh Calendar icon will refresh the information being shown on the grid so the user is always looking at the latest information. 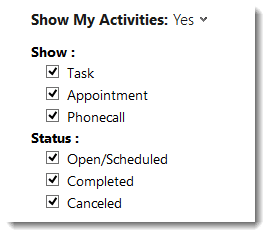 Additional to viewing team member’s tasks, appointments, and phone call activities on the calendar you can also add new activities for yourself or other team members. First, users must select the date they wish to add the activity and then select the “+” symbol to display the activity drop down menu. Select the activity type you wish to add, complete the desired activity fields and save. To uninstall, navigate to Settings > Solutions > select the PowerCalendar solution and select delete. Deleting the solution will remove any trace of the PowerCalendar solution from your CRM system. 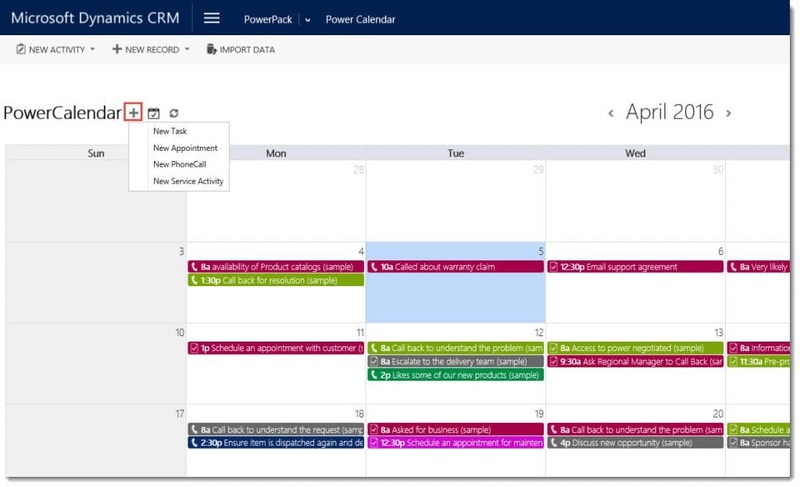 Thank you for your interest in PowerCalendar, should you choose to subscribe you will be charged $1/enabled CRM user/month. If you have any questions or run into any issues with PowerCalendar, our friendly support team is here to help!